In this paper, we present recent results with using range from radio for mobile robot localization. In previous work we have shown how range readings from radio tags placed in the environment can be used to localize a robot. We have extended previous work to consider robustness. Specifically, we are interested in the case where range readings are very noisy and available intermittently. Also, we consider the case where the location of the radio tags is not known at all ahead of time and must be solved for simultaneously along with the position of the moving robot. 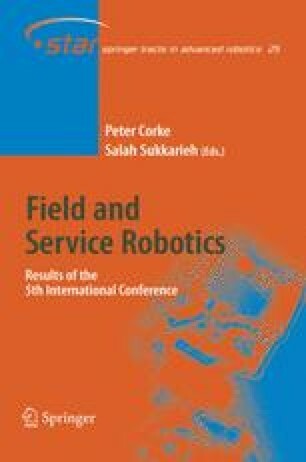 We present results from a mobile robot that is equipped with GPS for ground truth, operating over several km.